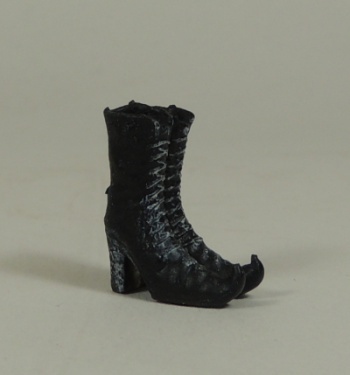 Hightly detailed pair of witch's boots. From the curled toes to the laces and spider webs on the back of the heels, the detailing is amazing. Comes to you primed and ready to paint.